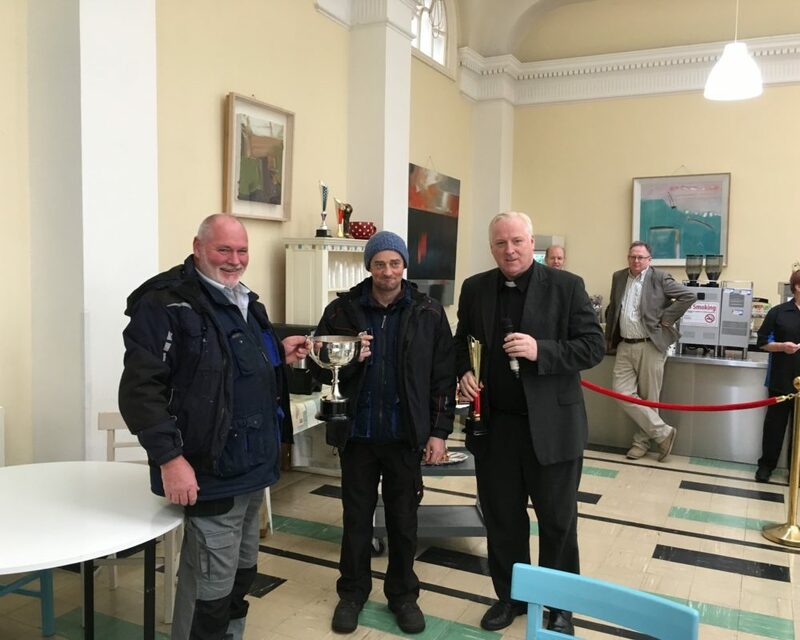 Carlow College, St. Patrick’s won first prize in its category in the Tidy Towns awards and was awarded the Douglas Cup. The award is a huge testament to the hard work our Groundskeepers Larry O’Toole and Damien Roche do year round in maintaining the beautiful college grounds. Picture: Fr Conn O’Maoldhomhnaigh presenting the Douglas Cup to Larry and Damien.